Three Husbands on the Loose! Oh oh... you've done it now. 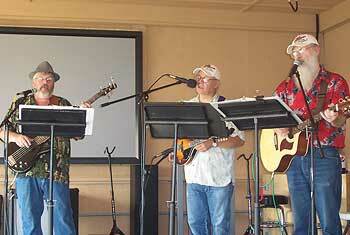 This is the official website of this trio of singers from Ionia, Michigan. We're glad you could stop by! Here you'll find our calendar, a partial playlist with song samples (it's always changing), contact info where you can order CDs, and a summary of our long and sordid history.